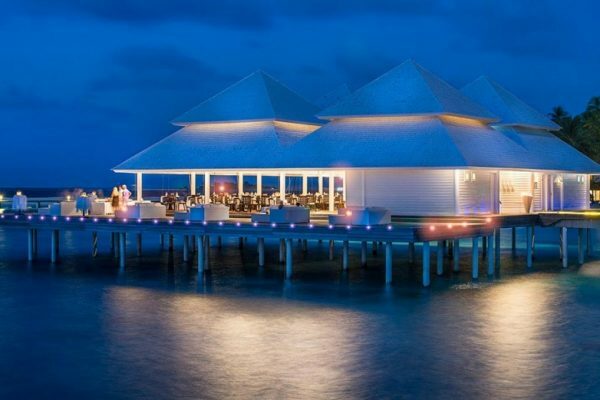 The Diamonds Thudufushi Beach and Water Villas, a little piece of paradise in the magical world of Maldives, has been large and richly furnished by DFN luxury contract division. 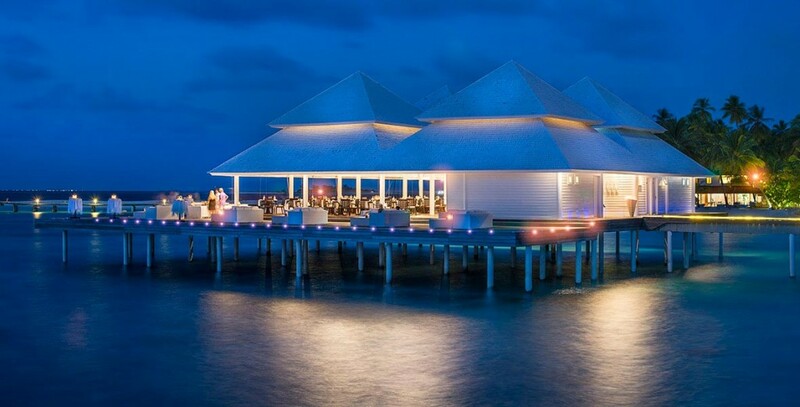 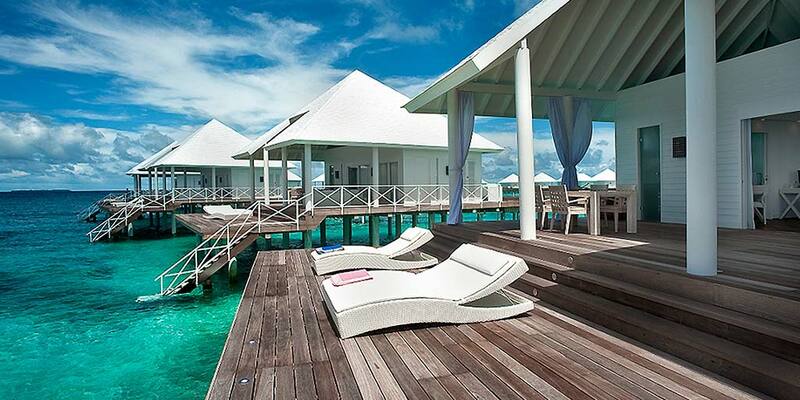 The resort boasts elegant beach bungalows and beautiful over water villas with stunning view of the ocean. 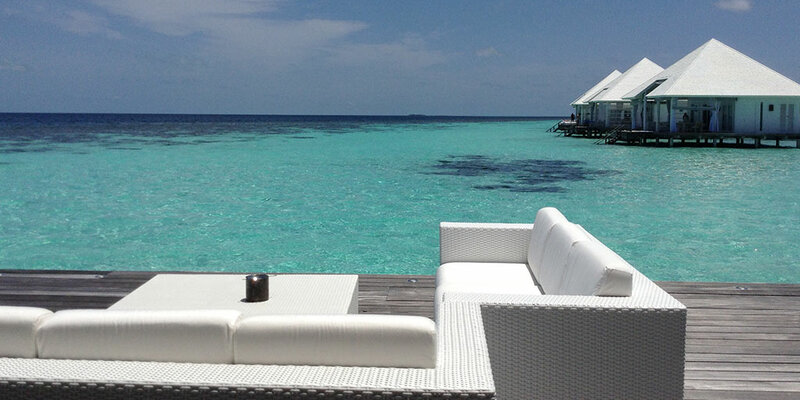 These exclusive accommodations creating the sense of a secluded hideaway apart from the rest of the world. 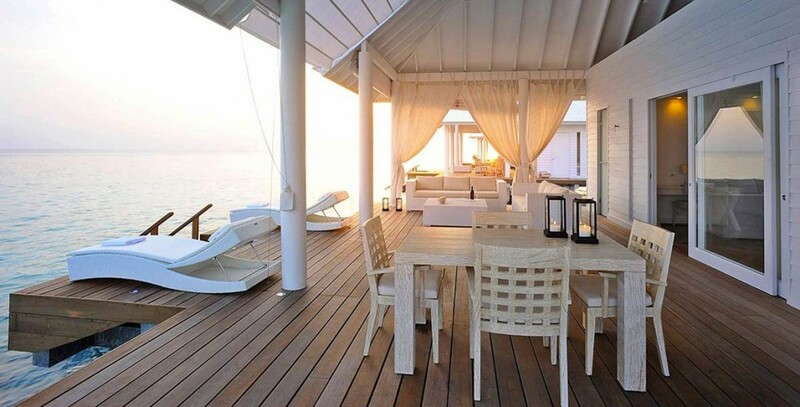 The luxurious private accommodation and the outstanding natural panorama perfectly match with the elegant mix of seductive design and refined details that characterizes every pieces of furniture by Dolcefarniente Outdoor. 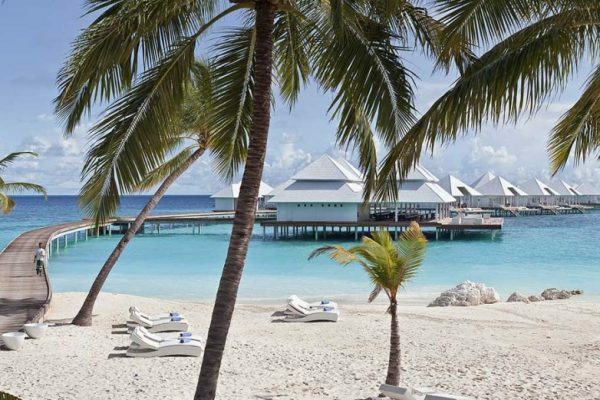 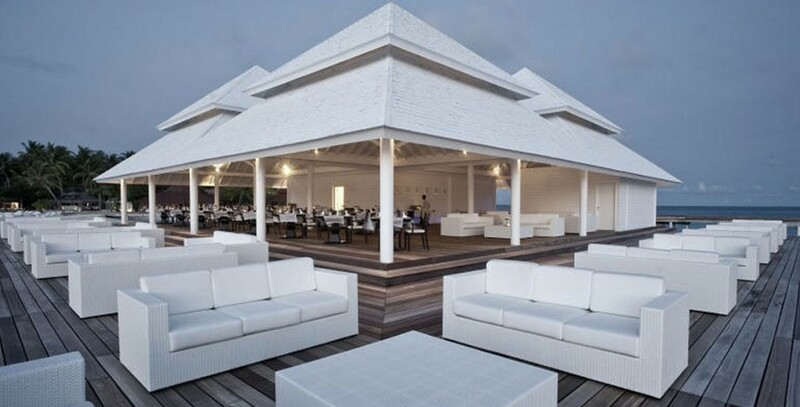 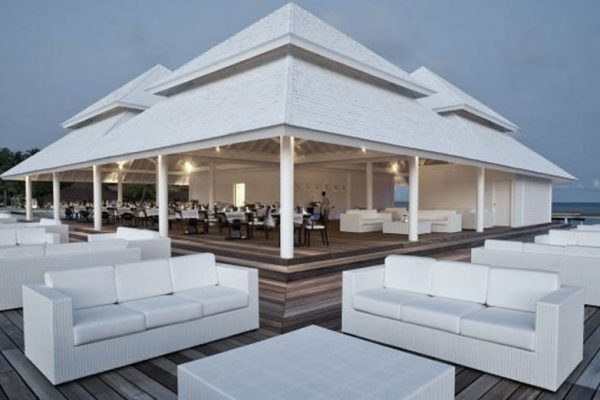 The design project for the exterior environment of Tudhufushi Island, immersed in the beautiful waters of the Indian Ocean, responds to precise criteria of elegance, ease of use and durability. 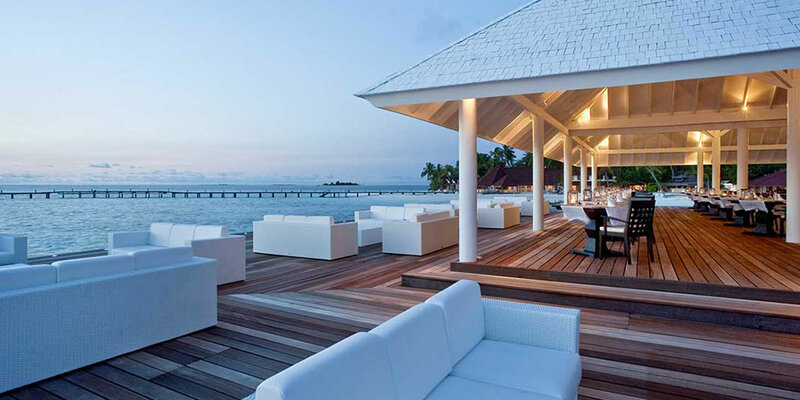 The elements that furnish the water bungalows, like any other element that is part of the Dolcefarniente Outdoor collection, are suitable for extended use in open environments and are resistant to atmospheric agents. 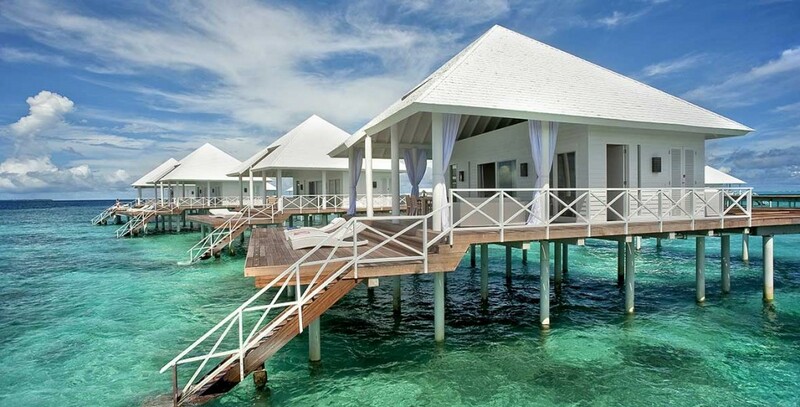 Sun and salt do not alter the colour and do not affect the structures. 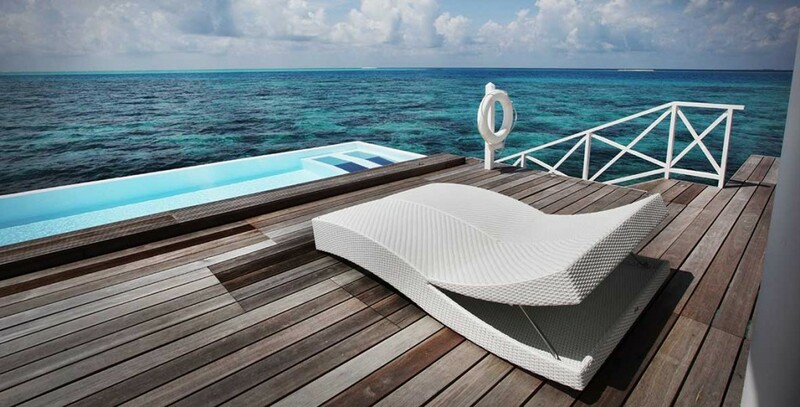 The fabrics are water-repellent and stain-resistant. 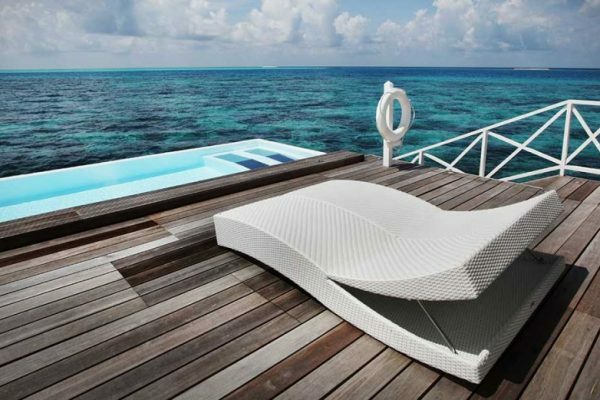 The environments have been furnished with a perfect blend of Bahia sofas and Athuruga deck chairs in single and double versions for relaxation beyond compare. 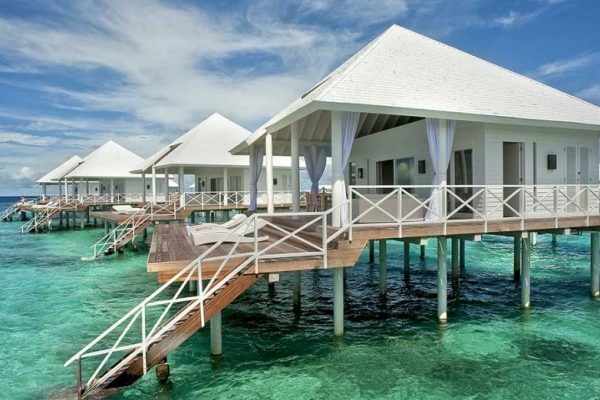 The colour chosen to fit into the intense blue of the sea and the sky and enhance the decor of precious water villas is an elegant and timeless total white.